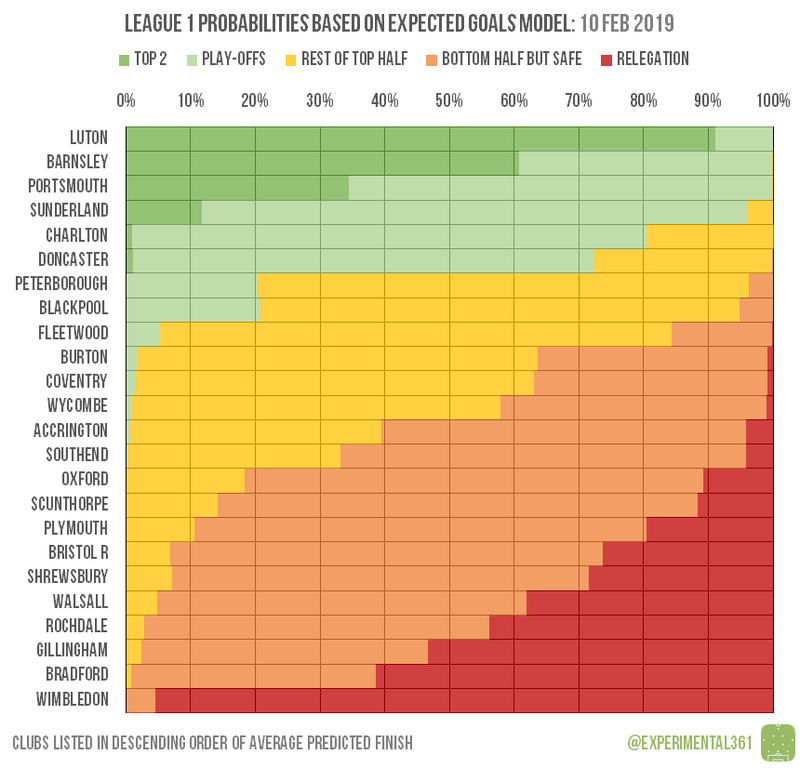 Barnsley and Luton are vying for the status as the best-rated team in the division, with a somewhat stalling Portsmouth their only serious challenger. Doncaster‘s big win over Peterborough continued their respective trajectories, with Donny looking like serious promotion contenders now. There’s no sign of a recovery in Gillingham‘s performances yet, while Scunthorpe continue to defy gravity with their strong form not being reflected in the underlying data. 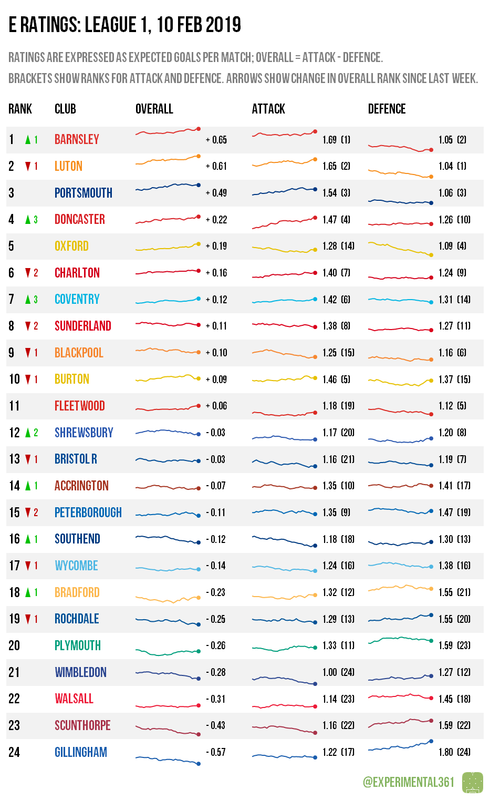 It’s a three-horse race for the two automatic promotion slots at the moment, with Luton still looking pretty comfortable and Barnsley increasingly so after both recorded wins by a three-goal margin. The top six is looking increasingly like a closed shop, with Peterborough and Blackpool running out of time to assert themselves. I have no idea what’s going on at the bottom of the table: barring Wimbledon and their ongoing misery it’s incredibly tricky to predict who will be dropping into League 2.